Freedom. What pops into your head when you hear that word? To live in a country where freedom to choose is defended at all costs? Freedom of speech? Freedom of religion? The freedom to go anywhere you want, to be anything you want? There’s more I’m sure, but here’s one of my unique definitions; “Freedom from yourself.” I’ll get to that in more detail in a minute. 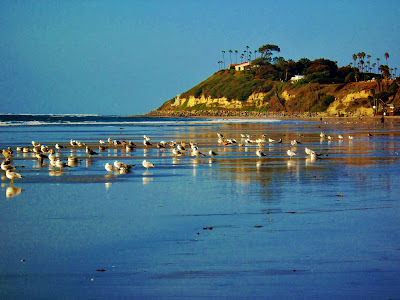 On December 9th, 2009, I set foot upon a beach near Encinitas, CA. in northern San Diego County and took a picture. I was there to check out a school I was thinking of enrolling in, one that I hoped would lead to a new life. I’d been stuck in Kansas for nearly a quarter-century. Granted, it was of my own free will. I moved back to my home state in 1985, and for the next 23+ years, I worked as a loan officer for my local hometown bank, farmed with my father, married, fathered two children, divorced, then raised my children for several years, nearly all by myself, and all along I continued to work at the bank and continued with farming after my father retired in 1994. By 2008, that world came crashing down on my head, the result of self-inflicted wounds from a “powerful, baffling, and cunning disease.” I nearly died, not once, but three times because of it. And then I lost my freedom in mid-2008. For 158 days, I didn’t feel the grass beneath my feet, I couldn’t watch children play, birds fly, or anything else remotely close to one’s definition of Freedom. But then, something “happened.” Beginning in early 2009, nearly 3 years ago, an “awakening” began. At first, I didn’t recognize it or even realize it was happening. As the days, weeks, and months went by, there emerged a distinct pattern from the fog of the past. I was more than just free to do as I pleased. I was growing and evolving, liberated from self-imposed limits I’d placed upon myself through my actions over the previous 25 years. I was discovering a new freedom, freedom from myself! Freedom from what my mind was telling me I should or shouldn’t do. Instead, my heart and instincts took over. Suddenly, my life took off, lifted by an energy I’d never experienced before. You guessed it, I was born “anew” at age 50. By mid-2010, I was back in California, a recent graduate of a demanding paralegal program, and found myself discovering a “new beginning” with this website/blog and, of course, my signature Facebook page called “Gusto”, the nickname given to me by my father so many years prior when I was just a young boy. Now I’m back on that beach. The photo is widely recognized now, the “signature” of this website/blog and of my Facebook page. It represents what the word Freedom means to me and SO much more. 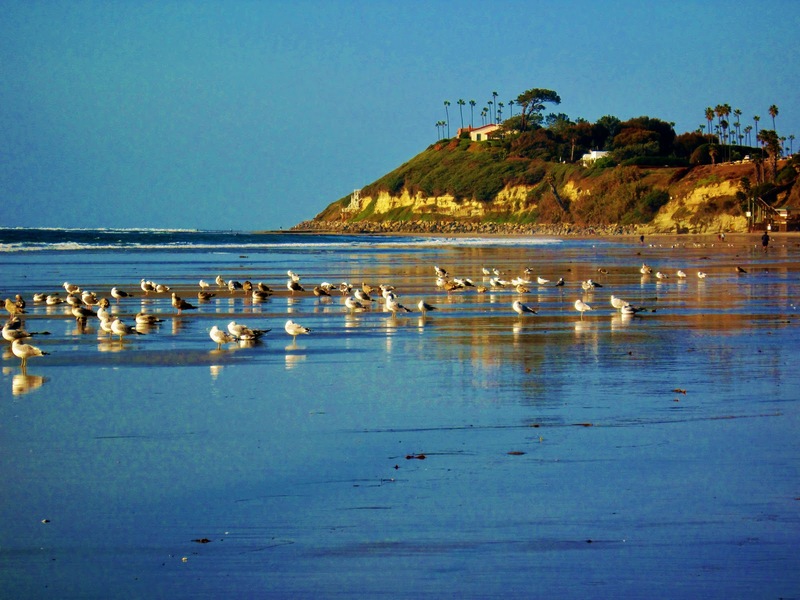 The seagulls represent you. You have the freedom to choose, to go where you want, to be what you want. But, like me, in order to fully appreciate and understand what Freedom really means on personal level, one that might surprise you, is you first have to remove the shackles you’re imposing upon yourself, personally or professionally. Where people get tripped up with their pursuit of happiness is thinking they have to follow someone else’s advice or what their mind is telling them they should or shouldn’t do. There is no “right” way for everyone. Each of you are unique. You have unique talents and skills no one else on this planet has. And the only way to tap into them and use them to the best of your ability is to let go of the past, let go of what other people say, let go of what your magical magnifying mind is telling you. The ONLY thing that matters, the only way we ever experience life as it’s meant to be lived, is trusting our heart and what our instincts are telling us. Sometimes the voice of instinct brings forth feelings of fear or doubt. Banish them. Your heart and instincts are dead on correct. Follow them, damn what your mind says, go with your gut. That, right there, is one of the most misunderstood concepts to mankind, but it’s also the secret to a life full of happiness, joy, peace, and love. One worth LIVING. This song sort of says it all! WOW… It's amazing how God directs you to just what you need to read at just the right time…Thanks Gus… I was really needing this tonight… What an uplifting and inspiring message.. God Bless You in all that you do. Thank you Janet, and THANK you for your kindness, support, and your friendship. God Bless yes! I want to read it again!!!! I love the synchronicity of life, don't you "melmla?" Are you ready? Are you ready to LIVE again? Let me show you the way!